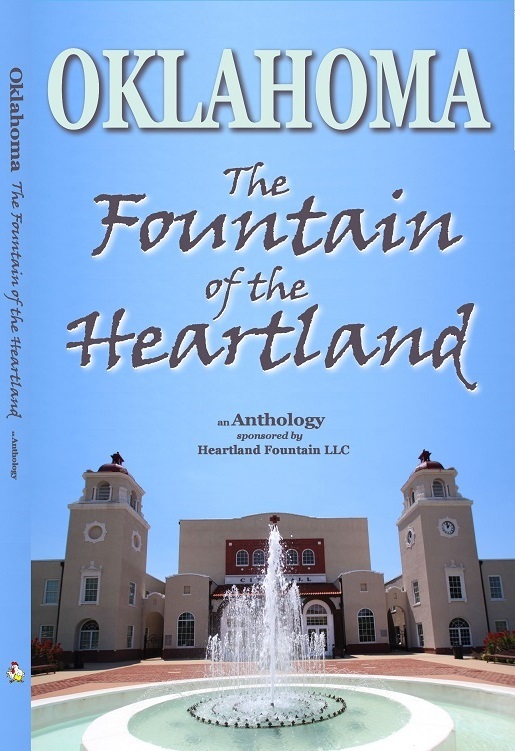 Heartland Fountain LLC is proud to announce the release of its first Anthology book, Oklahoma: The Fountain of the Heartland. 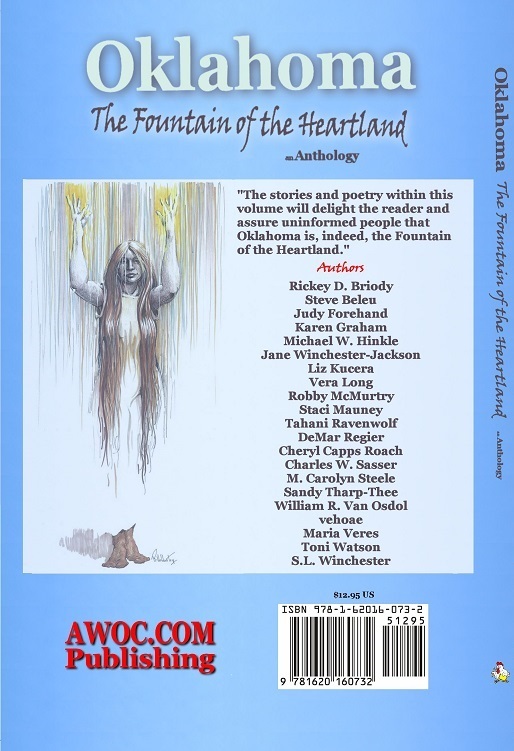 Twenty-two Oklahoma authors and artists participated in this project with short stories, poems and prose, photography, and original works of art by Robby McMurtry. Many of you are aware that Robby McMurtry’s spirit left this dimension for Heaven on l August 2012. Seen above on the back cover is one of the original works of art he prepared for this anthology. Oklahoma: The Fountain of the Heartland has been dedicated to the memory and spirit of our dear friend. Shortly, we will begin a “Meet the Authors” series on this website, giving you a broader perspective of the individuals who contributed the outstanding literary and artistic works for this anthology.